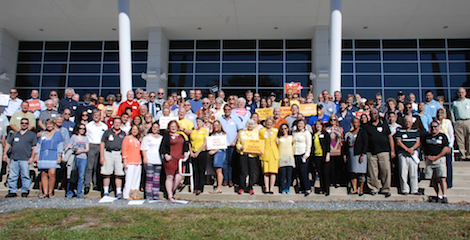 Solar United Neighbors is working with communities across the country to build solar projects and defend solar rights. Your gift will support on-the-ground projects that are making solar more affordable and accessible for everyone. 100% of funds donated will go directly to helping more Americans go solar, join together, and fight for their energy rights. Your donation is tax deductible. Solar United Neighbors is a 501(c)(3) nonprofit organization, our tax ID number is 46-2462990. Learn more about the impact of your donation. We’re in the CFC! Look for #86613. 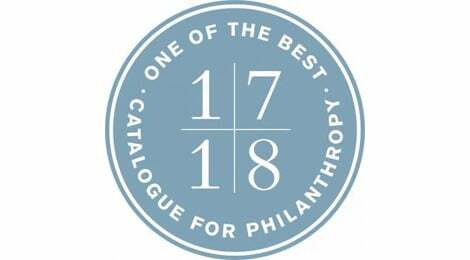 And, the Catalogue for Philanthropy named us “one of the best” community-based nonprofits in the area. You can also donate by check. Mail to: 1350 Connecticut Avenue NW, Suite 412 Washington, DC 20036. You can also give while shopping on Amazon by visiting our Amazon Smile page! Your privacy is incredibly important to us. We collect your information in order to process your order, but we keep it 100% confidential and never share it. If you sign up for email updates from Solar United Neighbors, you can unsubscribe at any time.